Experts, philosophers and even our wise elders said the same thing – ‘Change is the only constant’. With time, everything changes and evolves. The same can also be said in the context of life insurance plans. Where earlier traditional plans like Whole Life Insurance, Endowment Insurance and Money Back Plans ruled the roost, the millennial saw the launch of new types of insurance plans called ULIPs. Unit Linked Insurance Plans or ULIPs, as they are commonly called, brought about a revolution in the life insurance market as they provided investors with a feature which traditional insurance plans lacked – flexibility. Various innovative features, good potential for returns, shorter tenures and inflation-adjusted returns were some of the revolutionary features which ULIPs offered. Add to these a life insurance cover for protection purposes and ULIPs became the most sought after products of life insurance companies. As said above, evolution is inevitable, ULIPs too evolved in the past decade since they were launched. Today, the Unit Linked Insurance Plans which are available in the market have changed and present better and more evolved features. As such, choosing the best Unit Linked Insurance Plan becomes a challenge amidst so many available choices. But, nothing is impossible and measuring the plans to some common and relevant yardsticks would help you zero in on the best ULIP. However, before we embark on our journey to earmark the relevant parameters, let us first understand Unit Linked Insurance Plans and their unique features. Unit Linked Insurance Plans are insurance plans which combine the benefit of mutual funds with the benefit of life insurance in one plan or product. These plans provide market-linked returns along with life insurance coverage. The premiums that you pay for your plan get adjusted for the relevant charges which are mentioned beforehand. The net premium is then invested in a fund which is chosen by you. The funds represent different risk profiles and related return potential. You can select the fund based on your risk appetite – For example, you can choose an equity plan or within equity maybe a midcap plan, diversified equities or a large cap plan, you can even choose a plan which invests primarily in market linked debt products or even a plan with combination of equity and debt. The premiums are then invested in the equity or debt marketsaccording to the chosen fund and its objective and generate returns. The Fund Value reflects your growing corpus by way of NAVs. On maturity, this Fund Value is paid while on death, higher of the Sum Assured promised or the available Fund Value is paid. – These funds invest primarily in the equity market and hence follow an aggressive investment strategy. The risk presented by these funds is high and so is the return generating potential. – On the other end of the spectrum are debt funds which follow a conservative investment strategy. These Funds invest in the debt and bond market and hence have a low risk strategy. The returns from these funds, as obvious, are also conservative and low. -Investors who wish to earn returns higher than those generated by the debt funds but are averse to the high risk strategy of equity funds find respite in balanced funds. These funds are a combination of equity and debt funds and follow a moderate investment strategy. The risk is moderate and the returns are decent which are higher than debt funds but lower than equity funds. – Since ULIPs are insurance plans, insurance cover is available and is expressed as a percentage or multiple of the premium paid. In case of death, higher of the Sum assured or the Fund Value is paid. Thus, the life cover promised under Unit Linked Insurance Plans is guaranteed to be payable on death. – As we mentioned earlier, the premiums you pay would be subject to certain charges before they are invested in the chosen fund. These charges include the premium allocation charges, administration charges, fund management charges, mortality charges, etc. and are deducted every year or every month depending on the type of charge and policy terms. – Switching means transferring investments from one chosen fund to another. If your investment strategy changes over the plan tenure, the plan allows you to change your investment funds through switching facility which is free of cost up to a specified extent in one policy year. 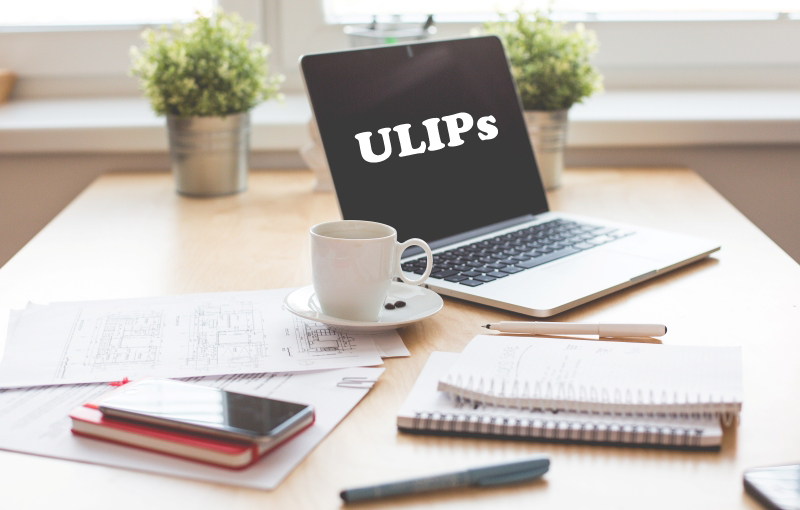 – the unique part about ULIPs which is absent in other insurance plans is the facility of partial withdrawal. In ULIPs, the policyholder can withdraw the Fund Value partially for any financial requirements without hampering the plan continuity. This withdrawal can be made any time after the first five years of the plan and a limited number of withdrawals are also free of cost. – ULIPs also provide the facility of making additional investments into the plan through the facility of top-up premiums. Thus, the policyholder can use any surplus fund for investment in the plan apart from the premiums which are paid and reap the benefits of good returns. So, these are some basic features which a Unit Linked Insurance Plan is characterized with. – The first and the most important consideration is the charges which the plan has. The charges lower the premium amount which is invested in the market. Needless to say, lower the charges higher would be the premium invested and higher would be the resultant Fund Value. So, when comparing plans, compare the charges and pick the one with the lowest charge structure. – Online ULIP plans usually have no premium allocation charge as the middleman or agent is eliminated from the selling process. Thus, consider online Unit Linked Plans for a lower charge structure. –Though there are three basic funds, companies have segregated these basic funds and have come up with a variety of options. Higher the fund options, diverse would be the asset class and would be better for your investments. So, plans which have higher fund options should be your pick. – While some policy holders prefer paying premiums for the entire duration of the plan, other want to pay a limited period premium while some prefer a one-time investment. When considering a plan, consider your premium paying suitability and choose the plan which suits your preference of premium payment. In case of the tenure too, the plan should allow you a term selection which is in tandem with your financial planning goals. – While considering the premium paying term and the available plan term don’t forget to have a look at the life cover. Unit Linked Insurance Plans determine the cover as a multiple of the annual premium. If you are looking for an investment avenue, choose a plan with the lowest Sum Assured because a higher cover means a higher mortality charge. On the contrary, if insurance and investment is your motto, look for a plan which offers a decent coverage multiple. –Investing in ULIPs means that you are lured by the return potential and want the highest returns, don’t you? So, if returns are your objective, wouldn’t it be wise to see the past performance of the funds of the plan which you are considering? Historical NAV (Net Asset Value) growth or the performance of the funds over the years is available with the insurance company or in public domain. You should study this fund performance and choose the plan with a stable and consistent performance record. – Riders are very good in providing a comprehensive coverage option and come in handy in customizing the plan. A good availability of riders or riders which fit your needs should also factor in your consideration while comparing plans. – Switching, partial withdrawals, top-ups, premium redirections, etc. are the unique features of aULIP or Unit linked Insurance Plan which makes the plan flexible. Moreover, nowadays, some ULIPs also allow Sum Assured alteration feature which allow you to increase or even decrease your chosen Sum Assured. Though the switching, partial withdrawal, top-ups, etc. have almost the same applicability, the frequencies which are allowed free of cost are varying. The larger the number of free features the less restrictive would the plan for you. These are the basic parameters for choosing an ULIP or Unit Linked Insurance Plan. Some plans also have a different benefit payment structure. For instance, death benefit in some plans are payable in monthly instalments. However, this feature should not be a parameter as the benefit structure is individualistic in nature and depends on individual requirements. So, in a nutshell, we must know what a Unit Linked Insurance Plan or ULIP is, understand its structure, its features and its benefits. After you have understood the plan, make an attempt to research and compare the available plans which will suit you the most. Use these yardsticks enumerated above and select the plan best suited for you.